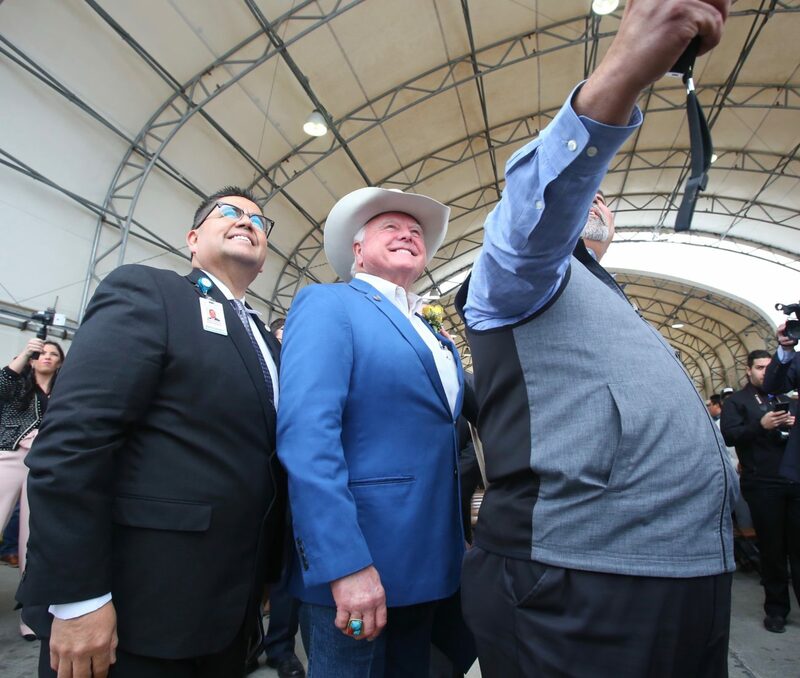 PHARR — Texas Agriculture Commissioner Sid Miller on Monday was sworn in for a second term at the Pharr-Reynosa International Bridge, the same site he visited and praised a few months ago. Texas Supreme Court Justice Eva Guzman conducted the oath of office for the first swearing in ceremony ever conducted outside Austin, according to Pharr’s Gary Rodriguez. “I’m a little bit of a rebel, a little different,” Miller said with a laugh about the occasion. Hernandez formally welcomed Miller to applause from the more than 100 people in attendance on Monday. Miller had recently spoke at this exact spot in October as he helped ring in the 2018-19 produce season. Also on hand Monday was Tamaulipas Gov. Francisco Garcia Cabeza de Vaca, as well as other top Tamaulipas officials. “Congratulations, my friend,” Francisco Javier Garcia Cabeza de Vaca told Miller prior to the event, the two embracing thereafter. Miller and Cabeza de Vaca have struck up an admittedly unusual friendship, which they have discussed on numerous occasions. 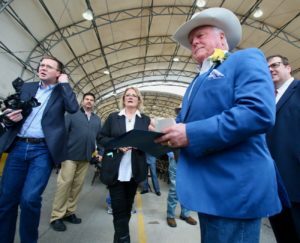 The ag commissioner calls himself a cowboy and Cabeza de Vaca has spent much of his life on the border, having gone to high school in McAllen before entering a political career in Mexico. Guzman, when introducing Miller, discussed one of Miller’s most recognizable qualities: his affinity for wearing cowboy hats. Miller is Texas’s 12th agriculture commissioner and a 10-time world rodeo champion.